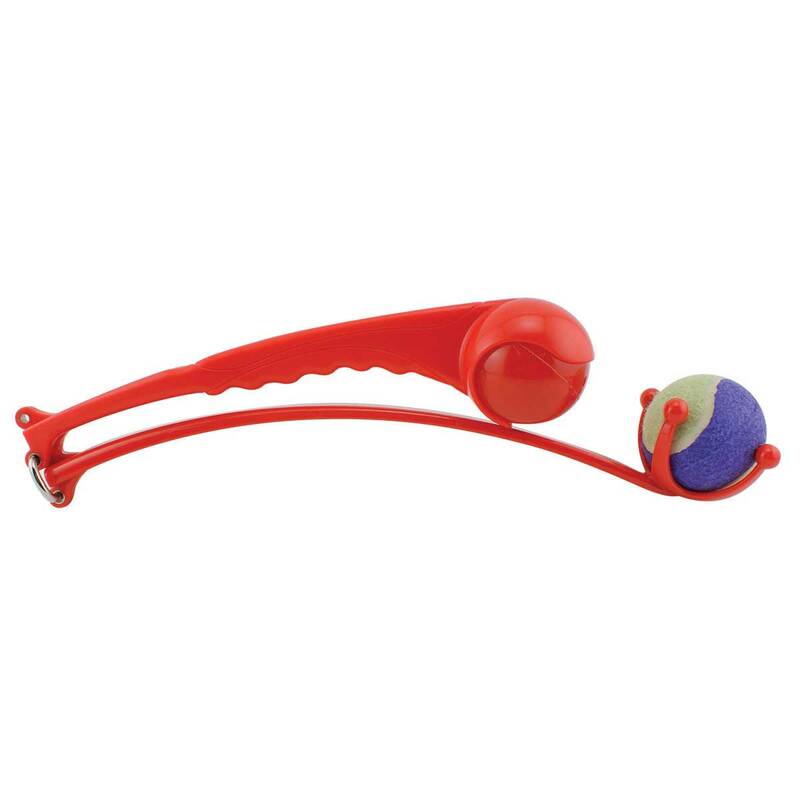 Powzer Ball Thrower unfolds and extends to 29. 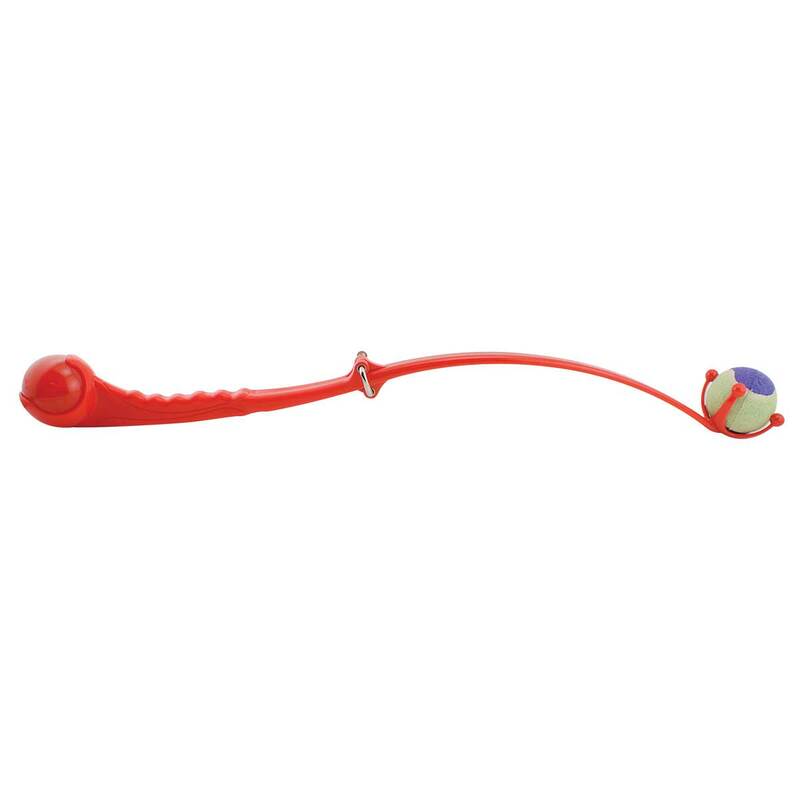 Holds two 2.5 inch balls - a flashing ball and tennis ball. One end throws and the other holds!! Folds up and includes belt clip for easy transport.